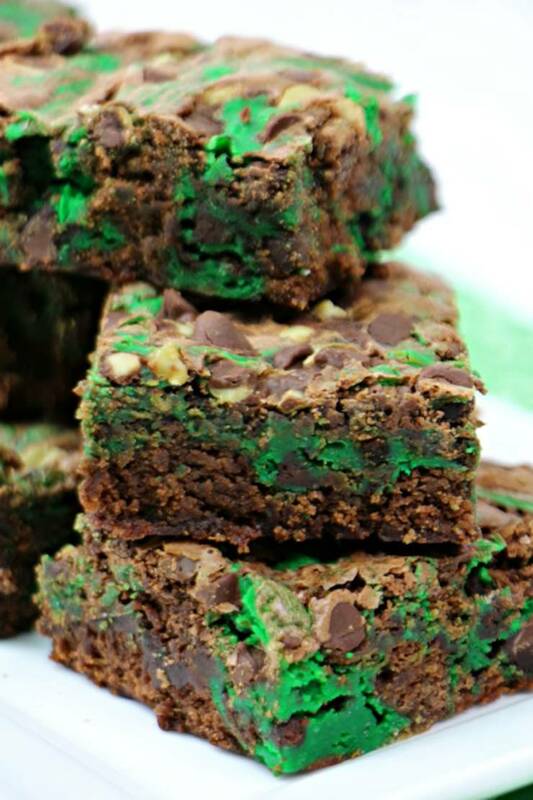 especially in these EASY Mint Chocolate Chip Cheesecake Brownies. 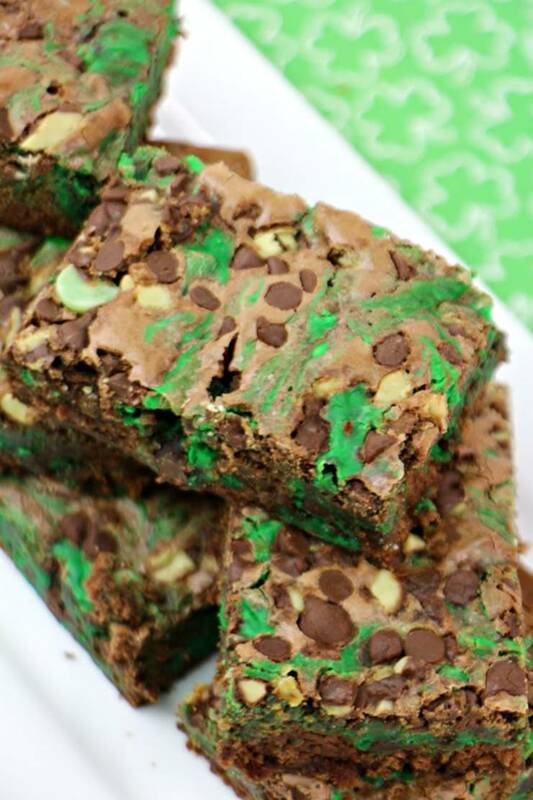 kids birthday parties, St. Patrick’s Day, Christmas or any Holiday celebration. delicious and make a great sweet treat. Perfect dessert, snack or treat. 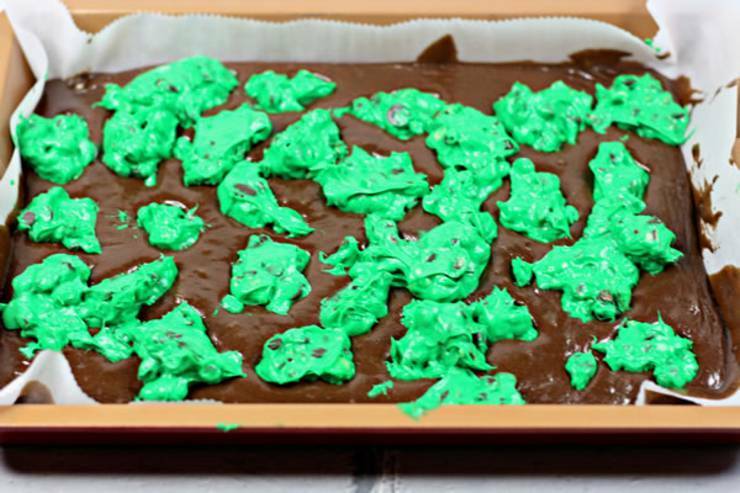 Brownie directions: Beat together the brownie mix, eggs, oil and water. Continue to mix until smooth. Take out 1⁄3 cup of the batter. Set it aside. Pour the remaining of the batter into prepped pan. medium bowl with an electric mixer until the mixture is completely smooth. (about 1 minute). Add the mini chocolate chips, stir in by hand. Measure out large spoonfuls of the cream cheese mixture. rest of the brownie batter to the top of the brownie batter. 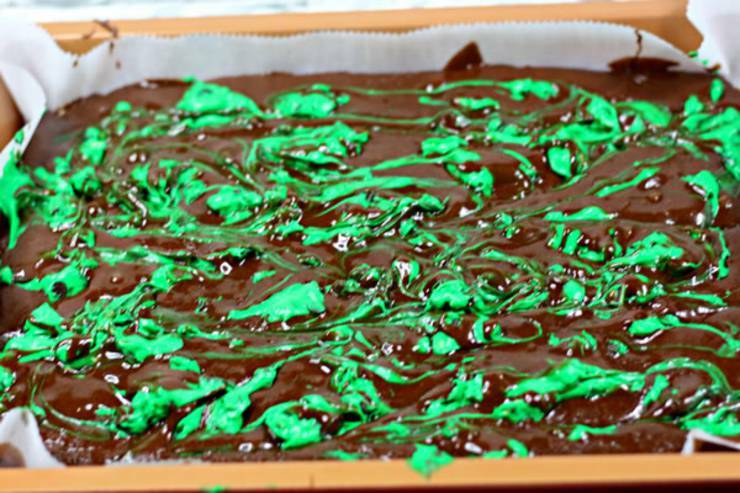 Using a knife create a swirl effect to mix the cream cheese mixture and the additional brownie batter. 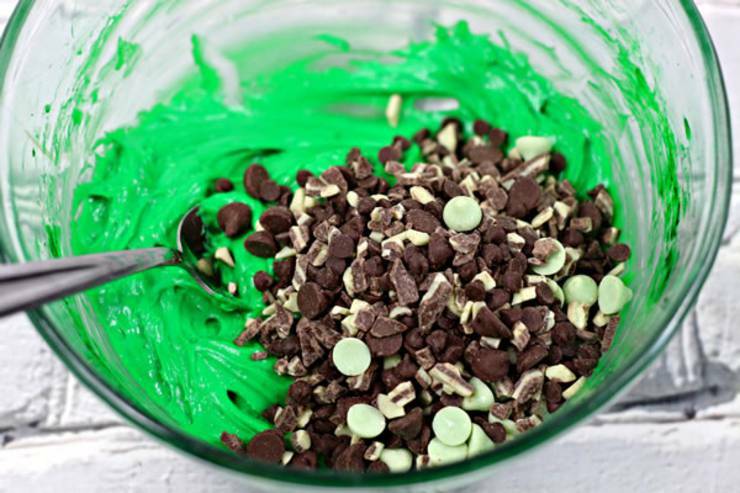 Sprinkle additional mini chocolate chips on top. Set aside until they have cooled. Take out 1⁄3 cup of the batter. 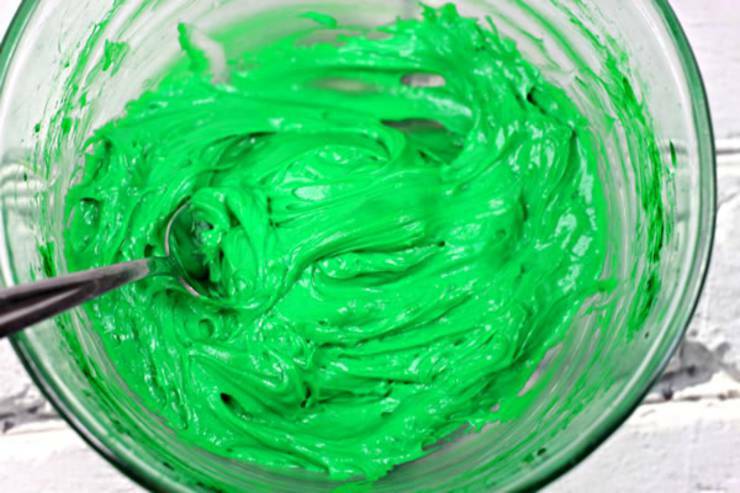 Beat the softened cream cheese, sugar, egg yolk, mint extract, and food coloring in a medium bowl with an electric mixer until the mixture is completely smooth. (about 1 minute). Dollop the spoonfuls on top of the prepared brownie batter. Next add the dollops of rest of the brownie batter to the top of the brownie batter.